Architect and urban planner who contributed to the development of public housing in the United States. Alfred Kastner played an important role in the development of public housing in the United States during the 1930s and 1940s. Alfred Kastner was born and educated in Germany. He studied architecture in Hamburg and graduated from the city university in 1922. After graduation, Kastner took up short-term employment in architectural offices in Germany, Austria, and the Netherlands. He left Europe two years later and immigrated to the United States after completing a business engagement in Hong Kong. In the United States, Kastner built a successful career as an architect and city planner. He designed industrial complexes, entertainment facilities, and housing developments. Kastner collaborated with Oscar Stonorov, another German-born émigré architect on the Carl Mackley Houses, which were built in Philadelphia in 1933/1934. Furthermore, Kastner was involved in planning the Jersey Homesteads (now known as Roosevelt, New Jersey), a development designed to house 400 families. Together with Stonorov, Kastner also won second prize in the design competition for the Palace of the Soviets in Moscow. In addition to his architectural work, Kastner was involved in large-scale city planning projects. He became the city architect of Albany, Georgia, in 1940. The town had been severely damaged by a tornado earlier that year, and Kastner was responsible for the major reconstruction projects. Kastner also worked closely with the US federal government. He was employed by the US Resettlement Administration during the 1930s and by the War Housing Administration during World War II. 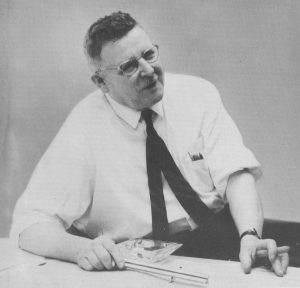 After the war, Kastner served as the director of research for the Bureau of Advanced Housing at Princeton University. Kastner spent the final stage of his career as an architect in the Washington, DC, metropolitan area. He died in 1975 in Alexandria, VA.
Kastner, Alfred. "The architect’s place in current housing." Housing Yearbook, (1939). Alfred Kastner Papers, American Heritage Center, University of Wyoming, Laramie, WY.